It is some times difficult to purchase a vehicle when you have tax ID number or ITIN. 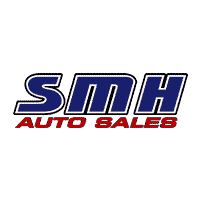 At SMH Auto Sales we provide financing for customers that have tax ID numbers or ITIN! Build your credit with your tax ID number or ITIN by financing a car at SMH Auto Sales!! If you already have established credit we can get you interest rates as low as 4.5 percent. If you have no credit or have had some bad credit you can still enjoy our guaranteed financing! Contact us about your situation today and we will make sure you are happy with your next vehicle purchase!! !